I feel like this has been a recurrent theme within my writing. Dance and emotion. More importantly, the expressive aspect of pole dancing and emotion. This is something we work on every month in our Freestyle Friday Workshop sessions at the studio, Pole Harmony. I define these monthly workshops as being a way to explore expressive movement. "Expressive movement is visually captivating and emotionally cleansing for the dancer as a means of therapeutic dance." -Pole Harmony Freestyle Fridays. Aside from expressive movement being visually captivating, this form of movement allows the dancer to tap into personal emotions and feelings while dancing. The process of dancing through your emotions creates an experience that one may describe as therapeutic or spiritual. I often see posts on social media where fellow pole dancers are experiencing life stresses and in response the general theme of their verbiage reflects the quote, "Dance it out." When we're stressed, we pole. I have heard friends of mine say that their best private performance sessions have come out of dancing through particularly stressful life situations. In the past few months, I have come to personally experience and benefit from the cleansing effects of pole dancing. This year has been quite stressful for me personally. I have mentally battled with my situation of needing to be four hours away from everything I have built as my life. The constant feeling of guilt for building a life so far from where mine started has left me answering many questions about the future and fate of all I know and love. There have been moments where I thought of letting go of the studio and putting my energy into a project that involves my natural caregiver role. The back and forth travel has been physically exhausting amongst an insurmountable emotionally exhausting circumstance. Through it all, the normalcy and routine of teaching and moving through dance has been a blessing for my mind, body, and soul. I can't imagine how I would cope without the ability to dance. There have been times when I've left the studio feeling rejuvenated and mentally ready to take on the world. Pole dancing has become the most natural healer for me both physically and mentally. Dancing is so much more than a hobby that I enjoy. It's become an outlet that allows my body to become and maintain a healthy state by creating a balance within my life that I need. That I crave. The level of mental clarity post pole session is amazing and for that, I am grateful. I now think to myself that if ever I throw in the towel on the studio, I know that dancing will not be forgotten. My mind, body, and soul needs pole dancing. Through this, I hope to share this passion and introduce the balance I have discovered through this art with others. Until the day where every good thing must come to an end, for now I'll dance it out. Blog Hop is a monthly blog topic involving pole dancing blog contributors from around the world actively involved in the online Pole Dancing Bloggers Association. Each month we write our perspective about a given topic pertaining to the pole dancing community. 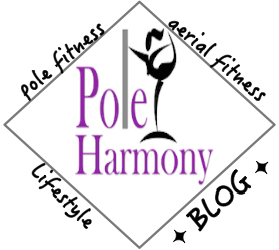 To read fellow Pole Dancing Bloggers Association April Blog Hop entries: Click Here.